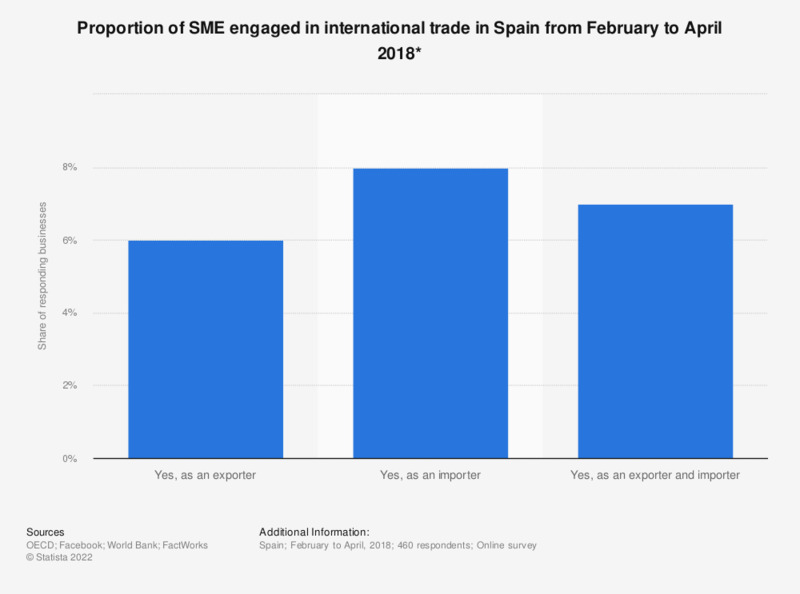 This statistic shows the share of small and medium enterprises (SMEs) in Spain engaged in international trade fromas of April 2018. From the responding SMEs, 21 percent were conducting business with international partners. * Source question: Is your company engaged in international trade?